Are you looking to make better connections with key influencers who would be both interested in and ready to decide on integrating your company's products into their routine? Find directors' emails, phone numbers, and more and start effectively marketing to them with this list! An effective marketing campaign is all about reaching out to the right people. Find key influencers with Bookyourdata.com and market to people who have the authority to make decisions right away. This can boost your sales and lead to more deals. 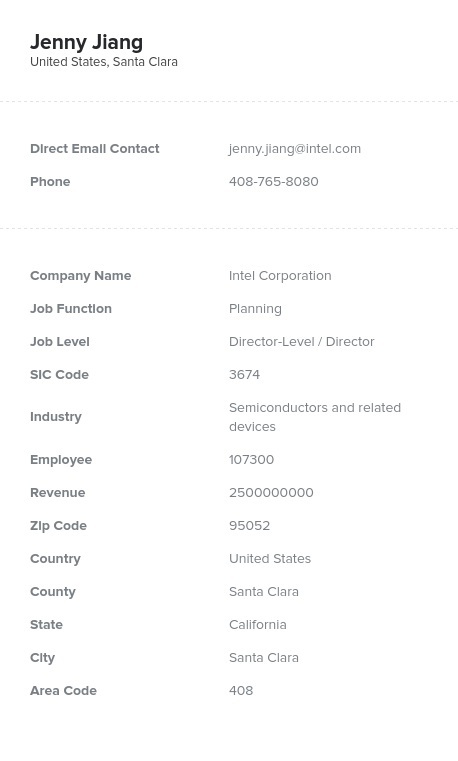 With this accurate, affordable, and verified directory, you can come into contact with the high-level people who care about their company: directors. Often managing teams of managers or whole departments and working directly with C-level management and executives, directors often have a hands-on approach to improving the functions of their aspect of a business. This is an important job level to get in touch with because they often have just enough decision-making power without the pressures of managing an entire institution. These are senior-level, experienced employees in the corporate world working hard to improve their areas in a company. With this helpful, ready-made list, there are several different ways that you could reach out. You could conduct more effective, targeted email marketing. You could call, as our list also has phone numbers. You could even conduct a direct mail campaign. It's up to you! With so much information at your disposal, networking can be that much easier and more effective. Download this list now!